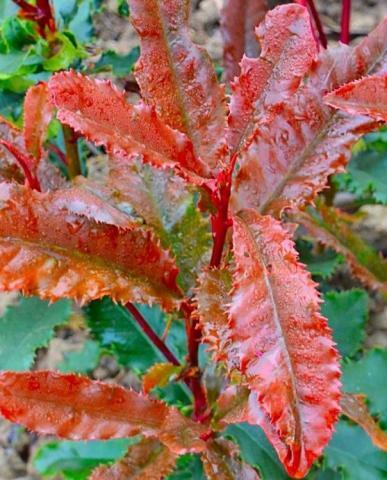 Outstanding new variety with bold wavy toothed copper red new foliage. Clustered creamy white flowers, July. Sun or semi shade. 2m tall. Good planted as hedging.